Welcome to Prop Store's Cinema Poster Live Auction. 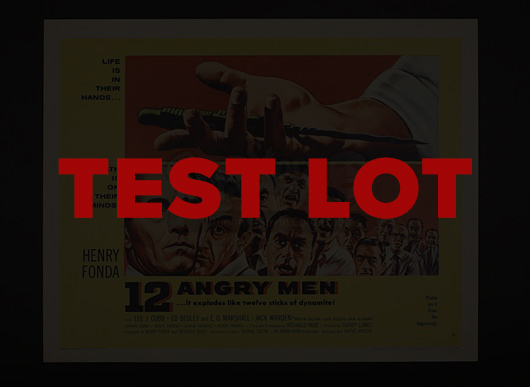 No bids on this test lot will actually be counted, this is strictly to allow bidders to practice their bidding before the auction starts with lot 1. The video stream will begin at 11:50 so stay tuned to test your video feed as well. Best of luck in the auction!